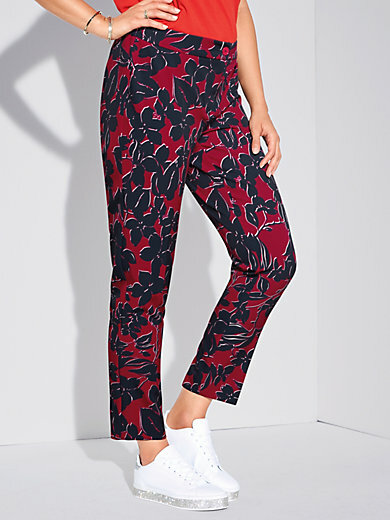 Trousers by Persona by MARINA RINALDI: stylish trousers with all-over floral print and narrow, slightly shorter leg. In top-quality stretch fabric offering a high degree of comfort and creating a beautiful silhouette. 89% polyester, 11% elastane. Side length in size 16 approx. 37ins. The trousers are machine washable.